Learn all about the new OSUB in this complete guide to the SMOK OSUB Plus Kit, where we share info about it, what it includes, and how to operate it. If you already own or plan to own the OSUB Plus 80W Mod or the OSUB Plus Kit, this guide is what you’ll want to read, as it acts as a complete instruction manual. Whether you’re looking for an in-depth user guide or just some basic help to get you started, we have you covered. 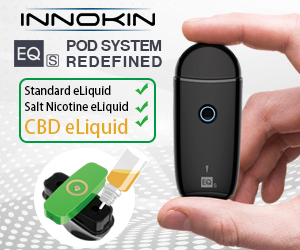 To start off, we wanted you to be aware that SMOK offers some of the greatest vape mods on the market right now. In fact, the brand became the 1st place winner in Guide To Vaping’s “Best of 2016” Best Regulated Mod category. If you’ve just purchased the OSUB Plus or are looking to buy one in the near future, everything over the next couple of pages will explain everything. From the contents of the kit to figuring out the how to flip the screen, to answers you’re looking for will be covered to make sure you can operate the device like it’s second nature. Even though the instructions came in the box, most of us –myself included– will generally grab the device out of the box and throw the instructions in the trash. Unfortunately, you won’t find much use out of your device when you’re on the road and have accidentally locked the device up. 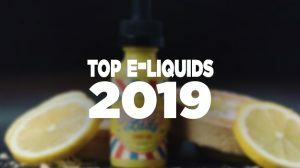 For this reason, we write our complete vaping guides because we’ve seen an increase in traffic, user engagement, and people seem to have a need for them. 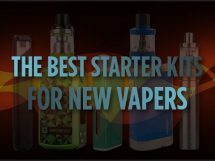 We’ll continue writing these guides focusing on many of the most popular vaping devices on the market. If there is a guide you need for a specific device, feel free to let us know. 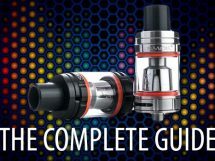 We thank you for visiting Guide To Vaping, and we hope that we were able to help you in some way by writing this complete guide to the SMOK OSUB Plus Kit. 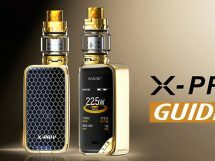 If you like this guide, feel free to check our our complete guide to the SMOK Alien Mod, our complete guide to the SMOK G-Priv, and our complete guide to the SMOK GX350 Mod. 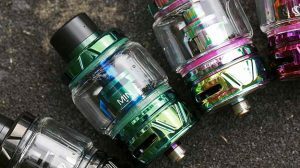 The OSUB Plus that’s manufactured by SMOK (Shenzhen IVPS Technology Co., Ltd) is constructed of a zinc alloy material with a stainless steel SMOK Brit Beast Tank that rests just atop. With an internal 3300mAh battery, the OSUB Plus is essentially an all-in-one kit, meaning that when you buy it, you can take it out of the box, add e-liquid, and you’re ready to rock. Measuring in at 75mm tall, 25mm deep, and 54.5mm wide, the OSUB Plus is a compact box that fits perfectly in the palm of your hand. Along with a firing button that encompasses the entire side of the device, tactile adjustment buttons, and a super bright OLED screen, operating the OSUB Plus is simple, as is charging and upgrading this miniature beast. 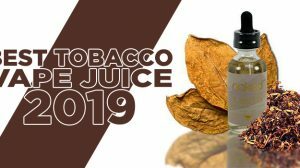 Truthfully, it’s designed for new users, but as a growing number of experienced vapers are heading away from massive devices and vaping at less than 100 watts, the OSUB Plus is a great all-day-vape for everyone. While the OSUB Plus may feature a compact structure, it has the ability to range in power, stretching its wattage from as low as 1W and up to 80 watts. In addition, this little guy is also equipped with temperature control settings for stainless steel, nickel 200, and titanium wire between 200 and 600°F (100 – 315°C). 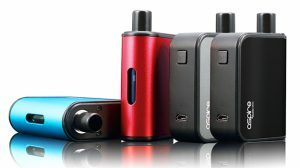 There’s no doubt that the OSUB Plus offers a varied vaping experience for all. The SMOK Brit Beast Tank on top of this little guy sports coils that offer sub-ohm capabilities, a 3.5mL e-liquid capacity, pyrex glass reinforcement, a flavor-focused design, a threaded top fill design, top dual adjustable airflow control, a wide bore drip tip for even great airflow, and it’s all based on a 24.5mm diameter and a stainless steel construction.